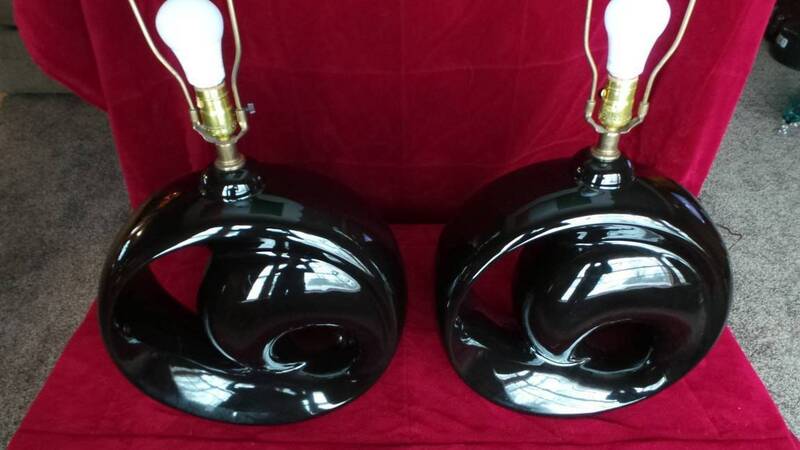 Very nice mid-century modern pierce pattern black glazed ceramic table lamps. Unique glossy black glaze pottery with a teardrop and circle cuttaway pattern design. Definitely a pair of lamps that you could use in any contemporary setting. Beautiful mid century modern lighting pair of lamps. Both lamps are in excellent condition except for one small scratch on one of them as seen in the pictures. Total height with lampshade 31"